Kiwi Simile and MORE! : Stickers for social media coming soon! 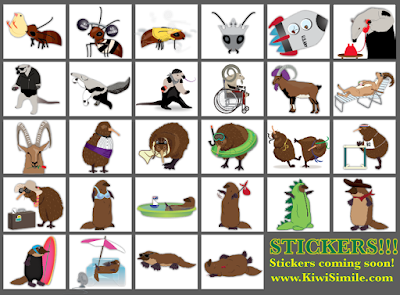 You will soon be able to use Kiwi Simile stickers on Facebook to express your own inner kiwi, platypus, anteater, ant, or ibex (plus others)!